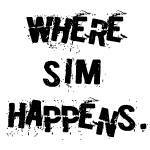 NLSC Forum • U R Basketball - WHERE SIM HAPPENS ! 2019 Roster 18th February! 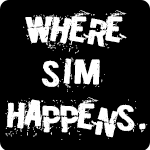 U R Basketball - WHERE SIM HAPPENS ! 2019 Roster 18th February! A hub for everything related to NBA 2K14 modding. Releases, previews, requests, and other modding discussion belongs here. Series 1 Game 2 of a playoff series between the Seattle Supersonics and Portland Trailblazers. CPU match with the 1991 URB Roster. Is there an updated CF ID list that includes the 2018 rookies? Use red mc, the free demo version, load the 2019 roster, you will find the CF ID. Wilt, MJ, LeBron, Kareem may be the greatest, but Scalabrine is the GOAT. I was wondering how rookies receive their ratings. Slimm has explained how veterans get their ratings and the ratings are based on NBA statistics. He has also explained how this effects overall ratings. For me this has lead to many excellent games over the past few years. Rookie ratings seem to be too high just looking at overalls. Most have higher overalls than solid role players. Since they have not accumulated any statistics yet, are college or international stats used instead ? Bassman58 wrote: I was wondering how rookies receive their ratings. Slimm has explained how veterans get their ratings and the ratings are based on NBA statistics. He has also explained how this effects overall ratings. For me this has lead to many excellent games over the past few years. Rookie ratings seem to be too high just looking at overalls. Most have higher overalls than solid role players. Since they have not accumulated any statistics yet, are college or international stats used instead ? Right now, 2018 rookies ratings are out of any formula, its just like in other roster - no formula. Rookies will be updated after first 20 real nba games....well tbh it looks like there is no need to update urb, zero interest in thread, few post in whole 2k14 section, looks like 2k14 died for many users. We still need our URB fix, Sko. I think most people are watching games or dealing with real life stuff. Give it a few days and things will be back to normal around here. ...well tbh it looks like there is no need to update urb, zero interest in thread, few post in whole 2k14 section, looks like 2k14 died for many users. Not true man, I still check the section every day, still playing 2K14 every day, Keep it up! Yeah man i come here every day. I think most people were thinking you were busy in RL. I Check the thread everyday , love URB mod! Thank you Sko and Slimm. Cant wait !!! Check the thread everyday !!! Also, the season just started, like a lot of sports, 2k19 and Live 19 are out, so people is checking them out, in my case i'm full of exams in this time of the year, I think that on a month or two, when holidays are coming, and 2k19 and live 19 become kinda boring to some new players, 2k14 will rise again, like all years. Is my prediction. People is just busy in this time of the year, and the ones that are not busy, are just checking the new things. But Sko, everyone is waiting for URB hahah. A lot, and I mean A LOT of interest still for the game. I use a few NBA comparisons for each rookie, paste their rookie information, then adjust for each player. As Sko said, I'll update players based on real stats when I have enough time (this new business is taking all my time) and when there is enough statistical information. - Realistic ratings and tendencies that affect game play but not the simulation engine ie dribbling, athletic ratings, post tendencies, etc. Give URB a try and please leave feedback. We're confident that you will agree this is the most realistic and accurate 2k project there is! 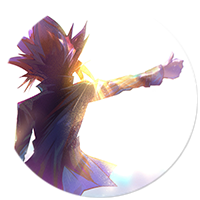 I am also checking everyday your forum and waiting for the update of the start of this 2019 season. Your roster are the best so far! I had no idea what you were talking about until I searched your post history. If you want tips on creating cyberfaces, try sending a private message to Maravich. I have no idea how to do that. Maravich is our cyberface guru. I'm sure there are others that you can private message, as well. Sam Perkins is missing his face in 1999-00 season and otherwhere in his Sonics days, remember I saw him on the bench with no head. I checked roster file with RED MC, in finalURB2000.ROS we have three Sam Perkins with 1784, 1763, 1784 as CF ID. But in cfs pack there isn't any 1784.png file (the one primarly related to Perkins). So for a quick fix copy and past 1763.png renaming as 1784.png and Perkins' face will appear in game. "Well, you know what...what we human beings want to do always on this planet is to climb mountains in and sometimes I think we forget that we have to come down from the mountain too before we are climbing the next I want" Falco classy swag answering to Dirl Clark. Hey, gang! I just finished adding all of the statistics from this season so my spreadsheet and will try to finish updating the entire roster file to season-specific information by the end of the weekend. However, I'm not sure how long it will take since the next few days will be filled with traveling and family. I'll finish it as soon as I'm able. The 2k14 roster is updated to 2018-2019 season-specific information and has been sent to Sko. It's up to him to finish any of his edits then it will be released.